Large Creamy bell-shaped winter flowers and deep green leaves retained throughout the year. 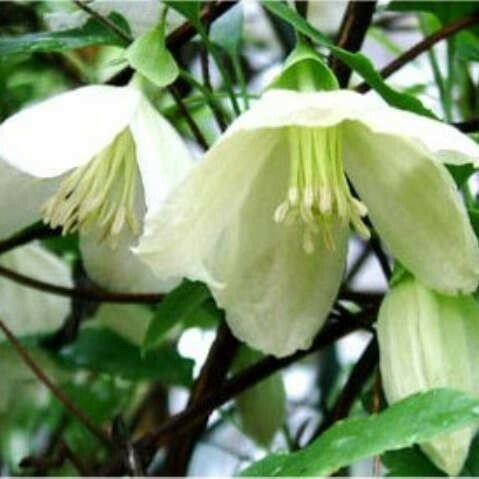 This winter-flowering clematis is perfect for training over a pergola, doorway or arch, in a sunny, sheltered site. Although drought-tolerant it may not survive severe winters. Supplied in approx 2-3litre containers.